As we are entering December, the month of Christmas celebrations, the nowadays almost rush for finding the perfect Christmas gifts is at its peak. Also, in the world of wine, Christmas gifts have become important as a way of gifting your friends with specifically chosen wines. But where did it all start? What do we know about the origin of Christmas gifts? Gift-giving as a tradition goes long back in history until before Christianity. It is considered to have been a pagan tradition in connection with the celebration of the winter solstice in Europe. Further on, during the Roman Empire, gift-giving was an important part of the Saturnalia holiday that took place in December. With the arrival of Christianity, gift-giving continued to be important in December. Especially, as the birth of baby Jesus was on December 25th where the Magi (the wise men and kings) visited bringing gifts of gold, frankincense, and myrrh. There is another parallel story regarding Santa Claus and his role as a bearer of gifts. He is considered to be based on a Greek bishop with the name of Saint Nicholas who in the fourth century was known as a gift-giver. Saint Nicholas has then with time become an important part of the Christmas traditions in mainly Central and Eastern Europe. Saint Nicholas brings his gifts on December 5th in the Netherlands and on December 21st in the Eastern European countries. Saint Nicholas – San Nicola – also exists in Italy where he is the saint of Bari in Puglia. The Feast of San Nicola is celebrated on May 7-9 though there is also a church ritual for ‘unmarried women’ being celebrated on December 6th. There are then other gift-giving stories during the years up to the 19th century, such as the story of the Bohemian Good King Wenceslas who in the 10th century walked through the cold winter days to bring gifts to peasants an the Feast of Stephen on December 26th. Gift-giving to children started becoming a used custom in Europe during the period of Luther and the Protestant Reformation in the 16th century. The Christmas celebrations and gift-giving as we know today are a product of the 19th century. It was also in that period that Christmas traditions spread to the United States. The idea of gift-giving and Christmas rites probably were already introduced with the European colonization of America but in those days, it was often forbidden. Puritans and Calvinists, for example in New England, stressed that there was no command in the Bible confirming the celebration of Christmas and bringing gifts. Today, gift-giving at Christmas, be it on December 5th, 24th (as in Sweden), or 25th, is part of the main Christmas traditions. In recent years, it might have become more and more a commercial thing but still, we have the general Christian symbolism as a basis for the celebration of the Christmas holidays. It is indeed still seen as a way of giving appreciation to each other. Now, let us hear the staff at Montemaggio tell us about their best Christmas gifts. 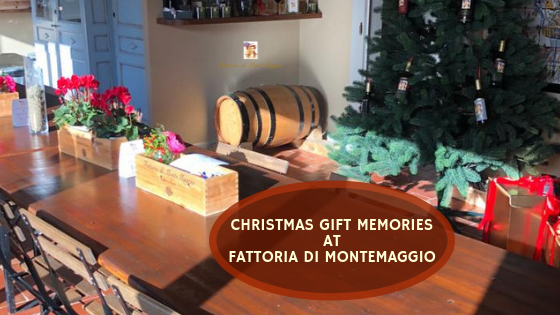 Some of the people at Montemaggio below tells us about the best Christmas gift they can remember to have ever received. Honestly, I think that I must have been very lucky in my childhood because I remember every Christmas as something special despite very simple habits. However, there is one thing that I remember very clearly, even if it is not about me but about my brother. He asked for one of the first computers on the market (Commodore 64) for Christmas. I do not remember how old he was, maybe 12-13 years old and me 8 or 9 years old. My parents really convinced him that he would not receive it, but, of course, they were very good liars. I can still see his eyes before me, his surprise and his incredible joy when he found it under the Christmas tree. He started crying like crazy out of happiness. He could not believe it! It was a beautiful moment for everyone. When I was 7 years old my parents gave me and my brother a puppy, that we called Vicky. She was the best Christmas present I have ever received. I spent 15 happy years with her. It was my first beautiful dog. When I was a girl I loved music. I had a small radio that only got one or two channels. When I heard a song I liked, I would take my hairbrush and pretend it was a microphone and look in the mirror and sing! I so badly wanted a record player so I could listen to my favorite songs whenever I wanted to but my family was quite poor. After asking for 4 or 5 Christmases, I gave up thinking Santa would bring me one. Then, when I was 12, I woke up to a large stereo system next to the tree with a red bow on it! I was overwhelmed with joy. I used that stereo until I was an adult. We hope that you have enjoyed this small look into the lives of the staff at Fattoria di Montemaggio. We thought it could be fun to hear something about their Christmas memories from when they were children. 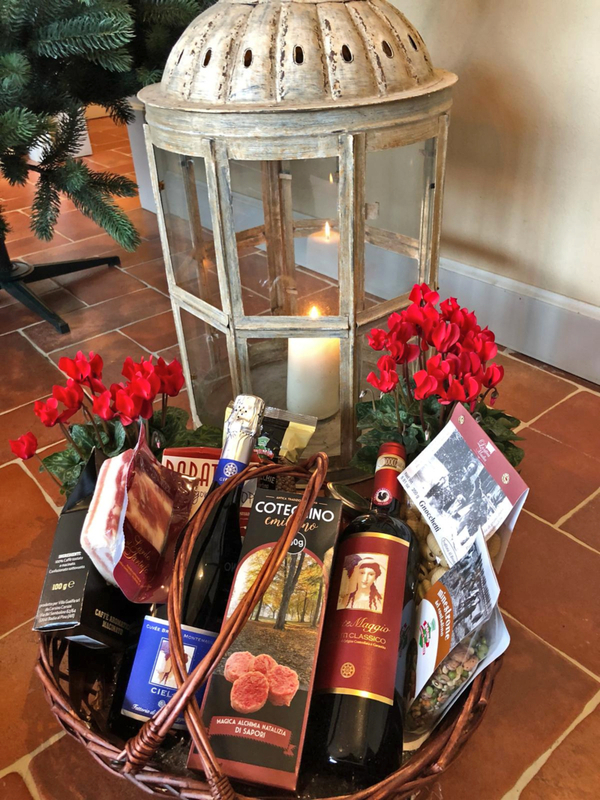 During December, Fattoria di Montemaggio will tell its Christmas story on social media with some fun events…so follow us on Instagram, Facebook, and Twitter.